Hailing from humble beginnings and with a genuine desire to help people, Jake understands the value of hard work. He also appreciates how important each property sale is to his clients and is always looking for opportunities to go above and beyond. Jake entered the real estate industry in 2010, coming straight from school, and spent his initial years in Sales support roles, where he built his industry knowledge and negotiation skills from the ground up. He was also fortunate to spend his early years working alongside one of Canberra's top real estate agents, Ben Faulks. He considers the experience gained in such a demanding and professional environment to be part of what separates him from the pack, however since stepping out on his own in 2013, Jake has quickly scaled incredible heights, now running a team of three sales professionals, who share his commitment to delivering exceptional levels of service to his growing list of clients. 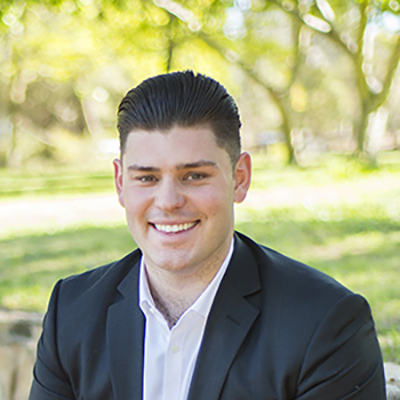 In short time Jake has joined the ranks of Alan White premier, and looks set to secure the highest honour within the Ray White group - Elite status - in just his third year of sales. A truly impressive achievement. Jake is a dedicated student of real estate who has successfully added Auctioneering to his repertoire, and is always looking for ways to improve the service he offers to his clients in order to ensure they achieve absolute top dollar, and this is reflected in the amount of referral and repeat business he generates. Positive feedback from Jake's clients flows in abundance, and they all comment on the commitment he demonstrates to following his proven process and sales system, balanced with a down to earth approach not always found in the real estate industry. Offering a unique combination of energy, experience and results, backed by an unrivalled dedication to putting in the hard yards to get the job done, call Jake today to discuss your real estate needs.